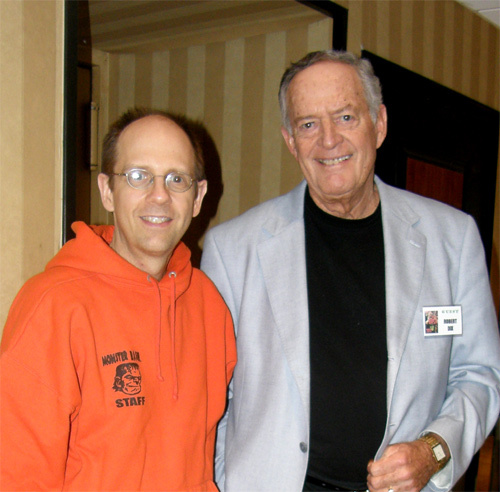 Photos provided by Barb Heiss, Kevin Slick, Brian Keegan, Theron Statler, Ted Lewczyk, Mark Statler, Henry Penn, Jerry Armellino and others - thank you! 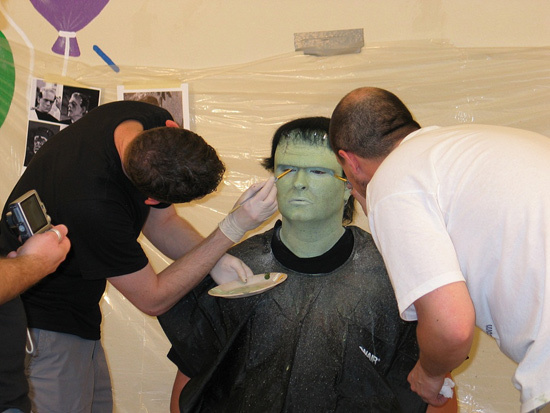 A monster in the making - Dan Weber goes under the brushes of Jesse and John at Reel Magik for Monster Bash. 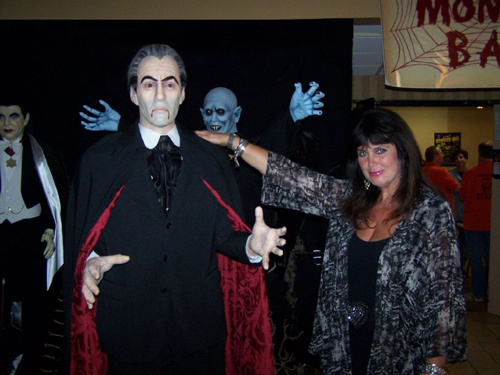 Reunited....once more - Caroline Munro and Vernica Carlson with Tall, Dark and Gruesome - Christopher Lee (the Lee figure provided by Jerry Armellino). 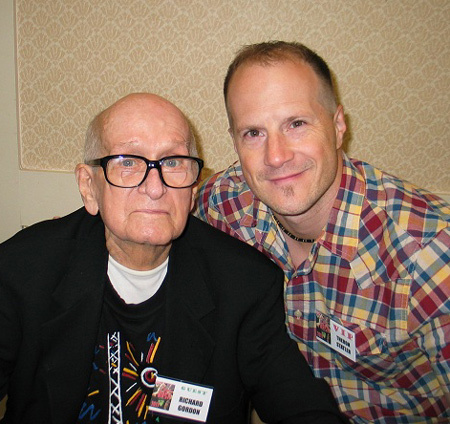 Film producer Richard Gordon (THE HAUNTED STRANGLER, FIEND WITHOUT A FACE, CORRIDORS OF BLOOD, ISLAND OF TERROR) with fan Theron Statler at Monser Bash. 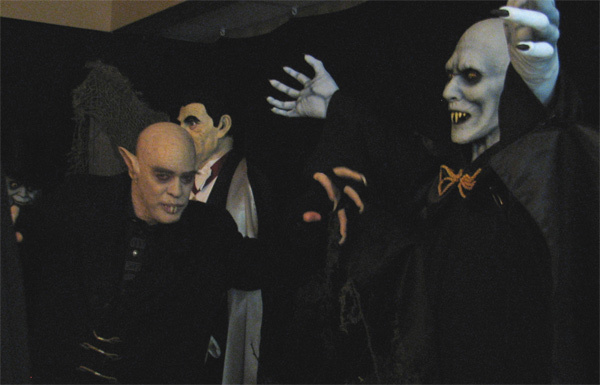 Who's that hanging with Nosferatu? 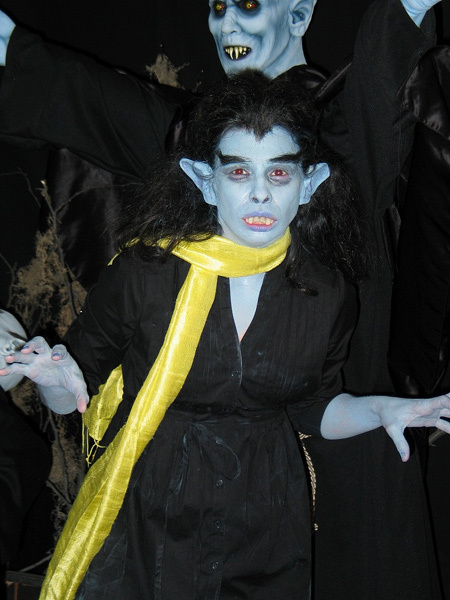 Well, it's a teenage vampire (Ursula Adams in make-up by Jesse Melchior). This is what is known as "Monster Bash Burn-Out" after three days of too much fun. 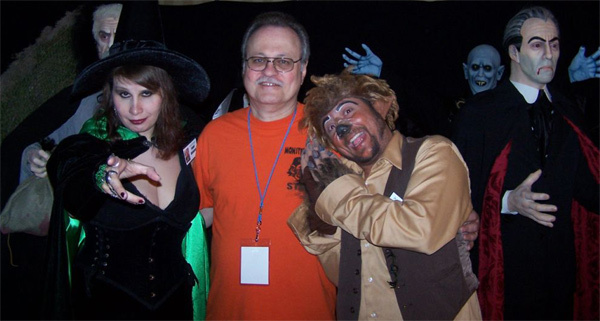 Double Count Orlak trouble at Monster Bash. 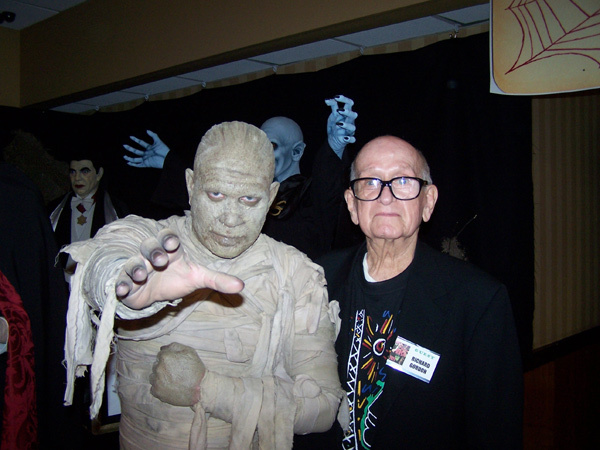 Kharis and Horror Film Producer Richard Gordon - a terrorific twosome! 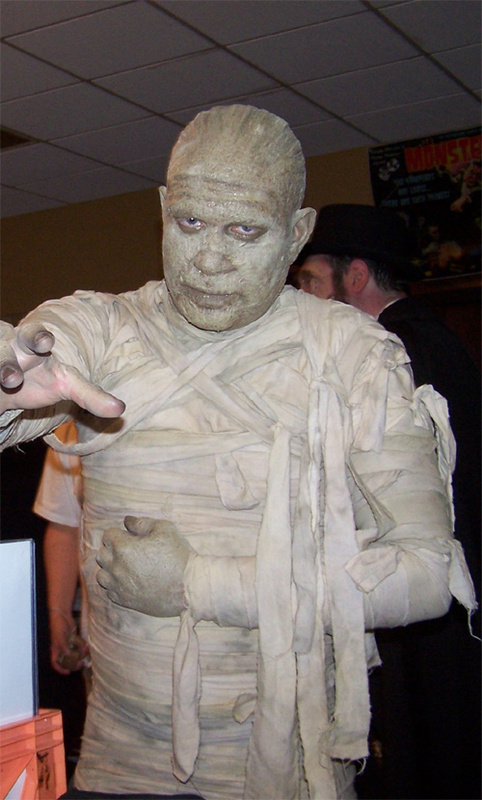 Dragging his leg around Monster Bash it's The Mummy (Charles in make-up by Jesse). 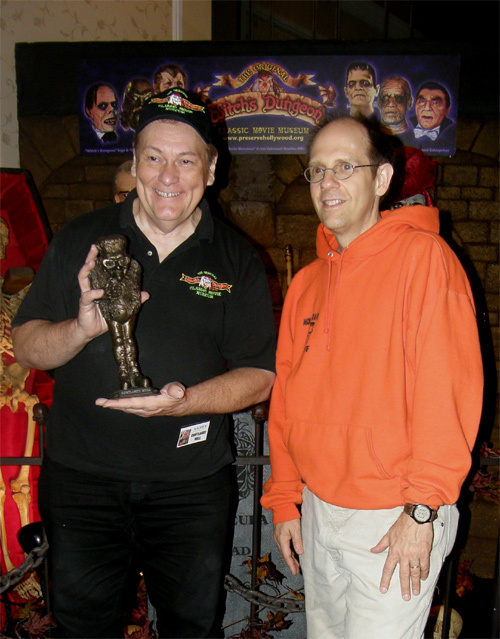 Cortlandt Hull recieves the annual Monster Bash Award. 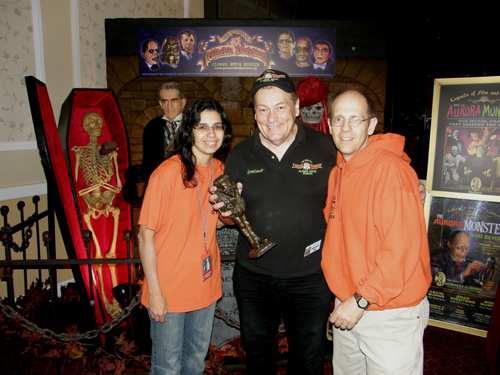 A lifetime achievement for preserving the classic monster movies we love. Ron Adams and Robert Dix right before a Question and Answer session in the Event Room. What goodies are in the bag? 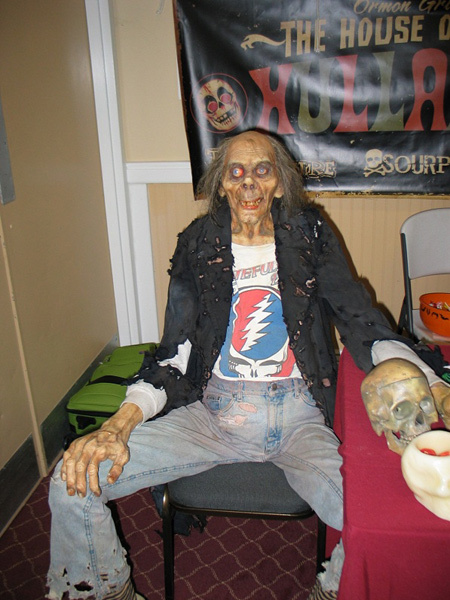 Why it's Boris from BLACK SABBATH...a life-size figure brought to Bash by Jerry Armellino. Eeeeek! 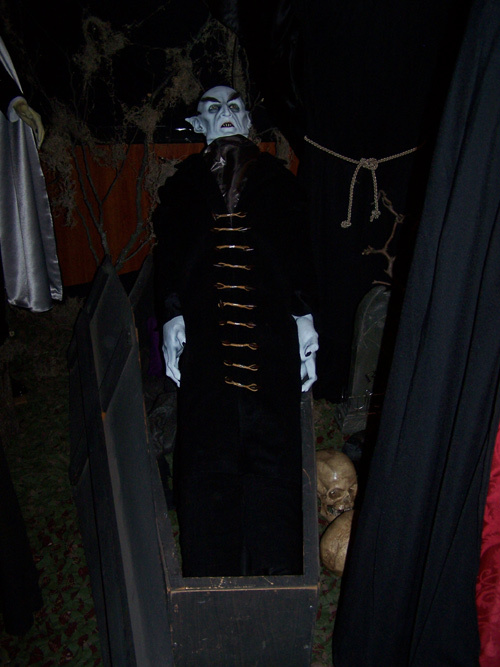 Noseratu rising in the lobby at Monster Bash - life-size (well, maybe death-size) figure. 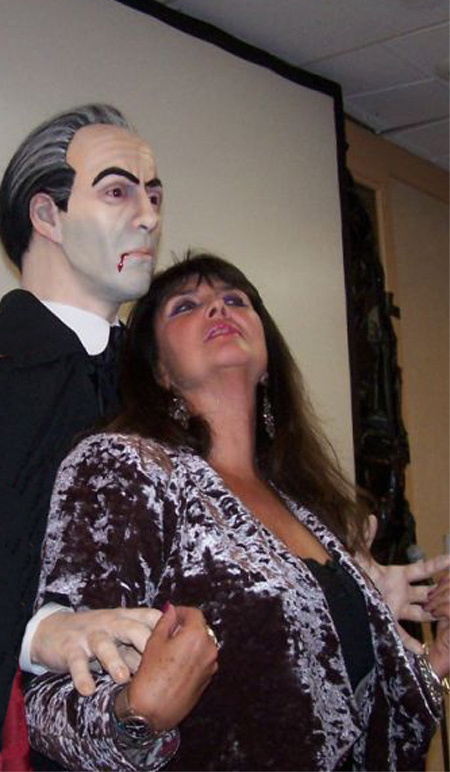 Caroline and Dracula in the lobby...a life-size figure from the Jerry Armellino Collection....the life figure of Caroline Munro....from the Caroline Munro Collection (no facsimile there!). Photo-Op anyone? 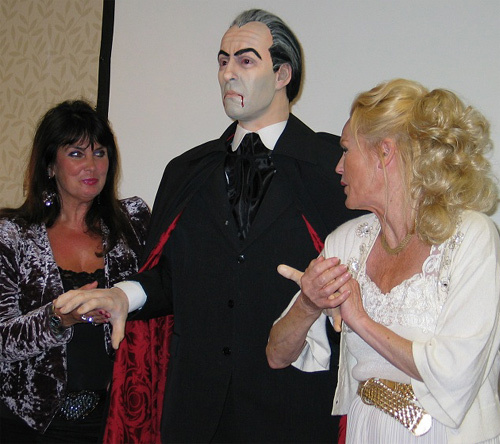 It was for the three Hammer Girls posing with the Christopher Lee Dracula figure. 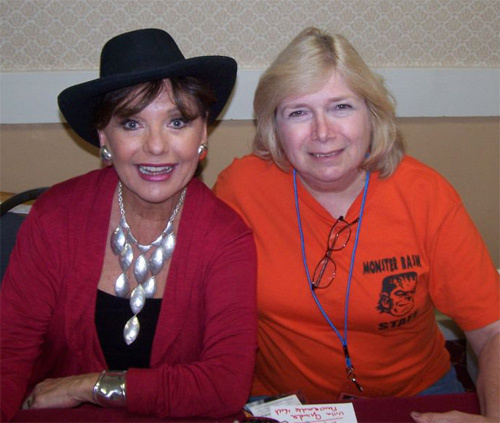 Dawn Wells and Susan Armellino hand out on Monster Bash Island. 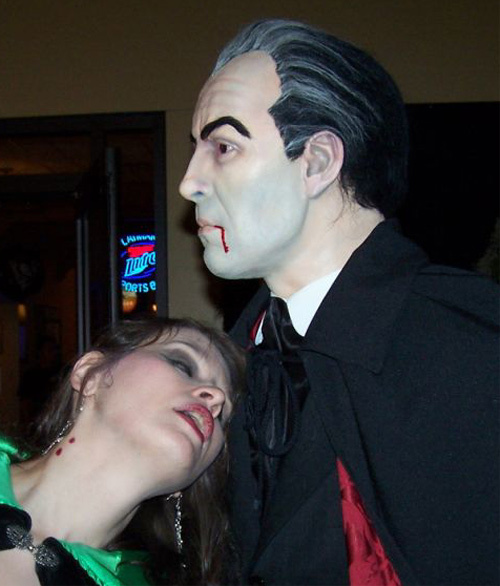 Drac takes a bite out of Boston TV Horror Host Penny Dreadful. Jerry Armellino nd his "collection!" 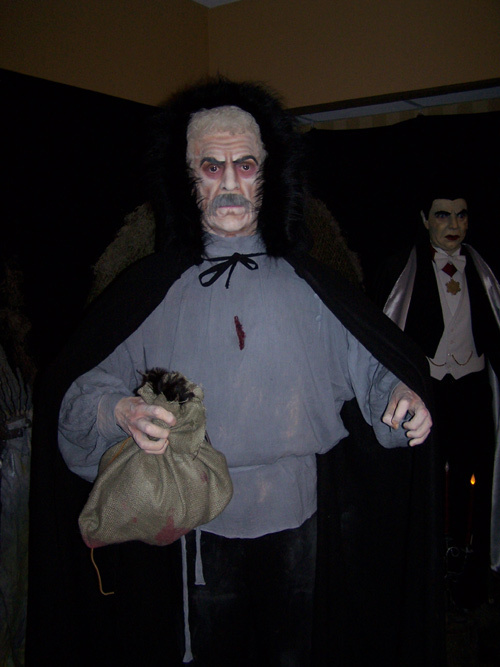 He might just be claiming the living creature features Penny Dreadful and Garoo for his collection too! Yvonne Monlaur (BRIDES OF DRACULA) and Veronica Carlson (DRACULA HAS RISEN FROM THE GRAVE). "Hey watch the hands, big boy!"